We simulated the impact of NOx shipping emissions on air quality and exposure in the Baltic Sea harbour cities Rostock (Germany), Riga (Latvia) and Gdansk-Gdynia (Poland) for 2012. We found that local shipping affects total NO2 with 22 %, 11 %, and 16 % in Rostock, Riga and Gdansk-Gdynia. Exposure to NO2 from all emission sources was highest at home addresses (54–59 %). Emissions from shipping have a high impact on NO2 exposure in the port area (50–80 %). 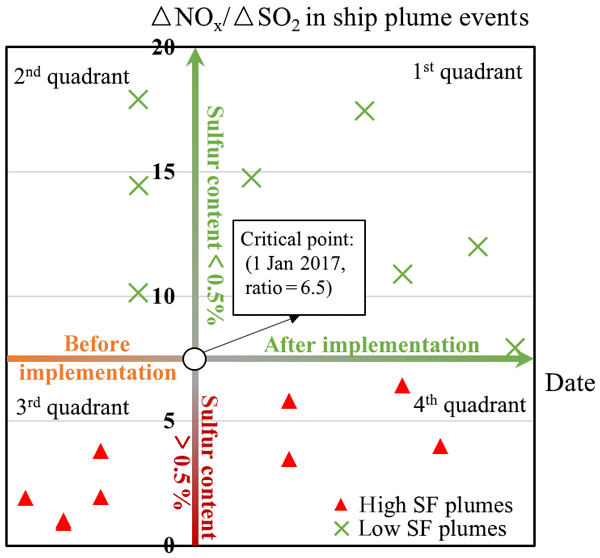 The effect of ship emissions on the regional air quality and nitrogen deposition in the Baltic Sea region was investigated with three regional chemistry transport model systems. The ship influence on air quality is shown to depend on the boundary conditions, meteorological data and aerosol formation and deposition schemes that are used in these models. 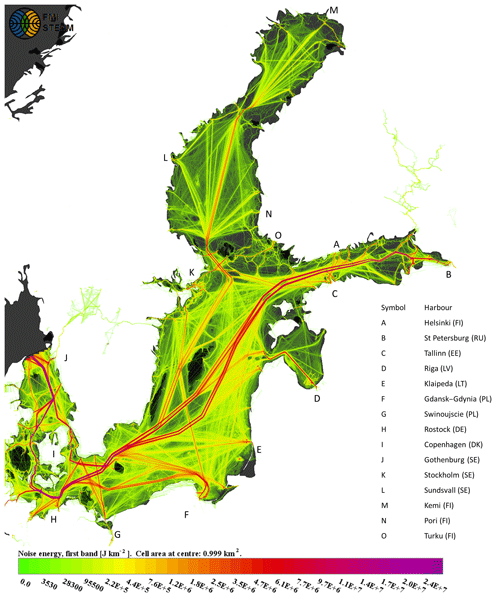 The study provides a reliable approach for the evaluation of policy options regarding emission regulations for ship traffic in the Baltic Sea. 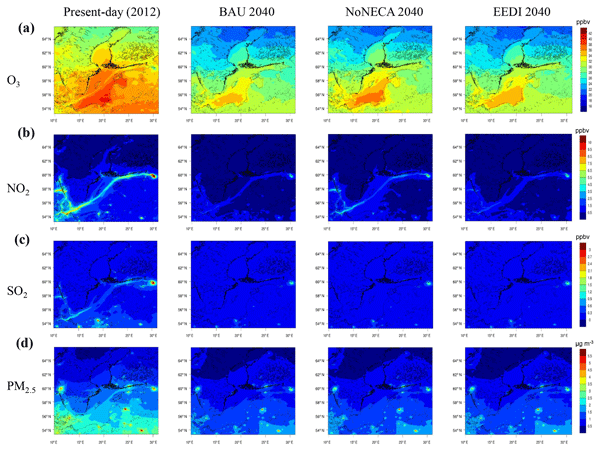 This paper presents the implementation of an underwater noise emission module in the Ship Traffic Emission Assessment Model. This model is based on real shipping activity, as described by the vessel navigation systems, and combines it with technical descriptions of each ship. The methodology described facilitates the expression of underwater noise as emission maps, which describe the energy emitted to the water. This enables regular reporting of shipping noise and facilitates further research. Biofouling results from the colonization of bacteria, algae or animals over natural or synthetic surfaces at sea. 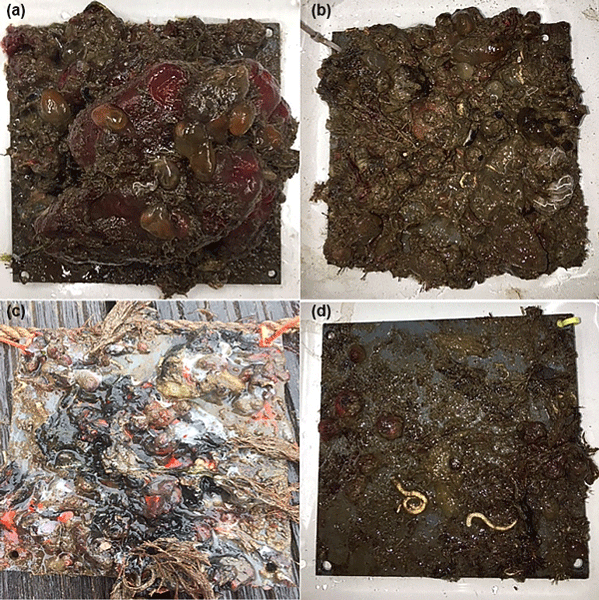 Biofouling affects ships' performance negatively, and usual practices to avoid it are related to the use of biocides to intoxicate or prevent the adherence of these organisms. Here, we demonstrated that the use of low salinity for short periods of time can effectively kill these organisms and can be incorporated into vessels' operation routine without causing delay or extra cost. 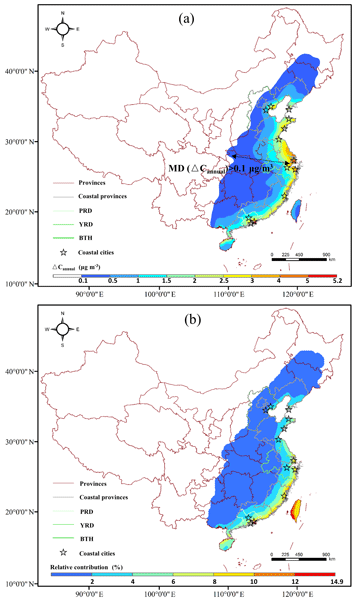 This study emphasizes the importance of at-berth emissions to understanding the health impact of atmospheric pollutants. 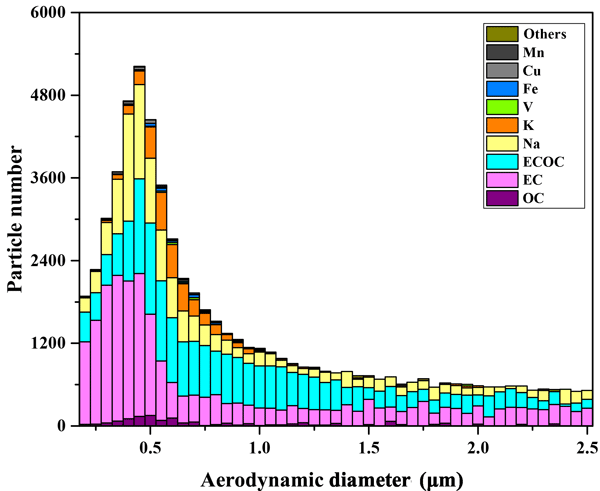 The chemical characteristics of both VOCs and PM from 20 container ship's at-berth exhaust emissions were examined using a gas chromatograph coupled to a mass spectrometer, and a single particle aerosol mass spectrometer. The profiles, based on massive samples from this study, complemented the insufficiency of relevant research in key port areas with high density populations.